“May you live in interesting times.” – Chinese curse (believed to by apocryphal). We now begin to move into the end game, as this collection sees the start of the final arc in the TV series. No filler this time round, thankfully. 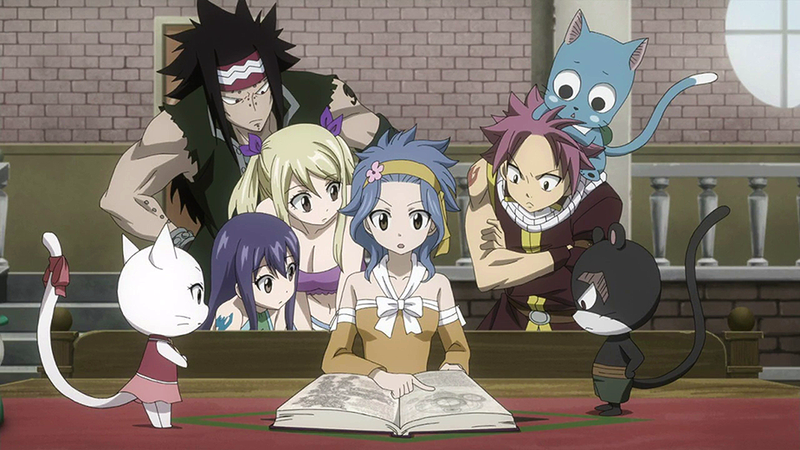 It begins with Natsu and Gray being ordered to take up a mission by Warrod Sequen, the fourth highest of the 10 Saint Wizards. They reluctantly agree to work together, but Lucy, Erza, Wendy, Happy and Charle are all with them to keep the quarrelsome duo in check. The tree-like Warrod uses “green magic” to bring plants and live to desolate area, but knows no offensive skills, so needs their help for a mission. Their task is to go to the Sun Village, which worships a gigantic fire. The village has been frozen by some kind of special pink ice and no-one knows how to get rid of it, so Natsu and Gray are tasked to solve the problem, with Warrod helping them on their way. The viewer learns very quickly why Warrod is helping them: he was one of Fairy Tail’s founding members. When the gang get there they soon find themselves facing against several problems. For starters, Warrod forgot to tell them that the village was inhabited by giants. Secondly, two rival groups are in the area: one is a guild of treasure hunters wanting the fire for themselves, and the other is a dark guild named Succubus Eye, whose latest member is former Sabertooth wizard Minerva. However, Fairy Tail do get some help from a former resident of the village who, it turns out, is someone they met before: Flare. Eventually they manage to relight the flame, which turns out to be the spirit of Atlas Flame, the fire dragon. It turns out he was killed by a mistake by someone using Devil Slayer magic, who thought he was a demon. Natsu learns from Atlas that Igneel tried to kill E.N.D., the strongest demon in the Book of Zeref, but failed. The individual responsible for the pink ice, the Devil Slayer Silver, is a member of a group called Tartaros – who are the final villains in the next story. Tartaros start off with a bang – literally, as one of their number, Jackal, uses explosive magic to destroy the Magic Council’s HQ, killing most of the people in it, with Doranbolt being one of the few survivors. One of the few ways he can get help is by freeing Cobra and his guild members. Meanwhile, Tartaros is trying to kill other council members, for it turns out that none of its members are human: they are all demons, and E.N.D. is their leader. 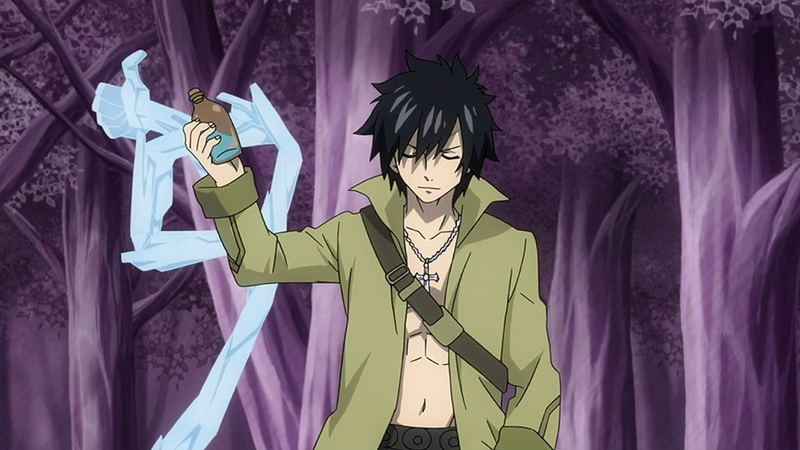 Several Fairy Tail members, including the whole Thunder Legion, are nearly killed when protecting one ex-councillor, and so Fairy Tail tries to protect the others, only to learn of betrayals high up in the council which results in the likes of Erza and Mirajane being captured, and Elfman being manipulated. As Tartaros are demons, rather than use magic, they use curses, thus their ultimate plan is to activate one of the council’s weapons that will wipe out magic everywhere, leaving everyone with Magic Deficiency Syndrome and making them powerless. Now we know that we are getting into the final moments of Fairy Tail, we also know that things are going to be building up to a thrilling conclusion (there are 25 episodes left after this). Following the Sun Village story, the role of Tartaros as villain is different to that of most of the baddies in the story, mainly because they are demons and thus a far greater threat than any of the human wizards our heroes have had to take on. As a result they are much more ruthless. Jackal is perfectly willing to use hostages in order to try and secure victory. Silver also appears to have a deep hatred of Gray, despite not even meeting him yet. The most interesting of the Tartaros members to me is Devon, who is able to control others to make them do her bidding. Thus if someone is trapped by her, they have to sell their souls to her in order to escape, but even that just means they have to carry out orders on Devon’s behalf, which results in what happens at the very end of this collection, and thus should not be spoiled. 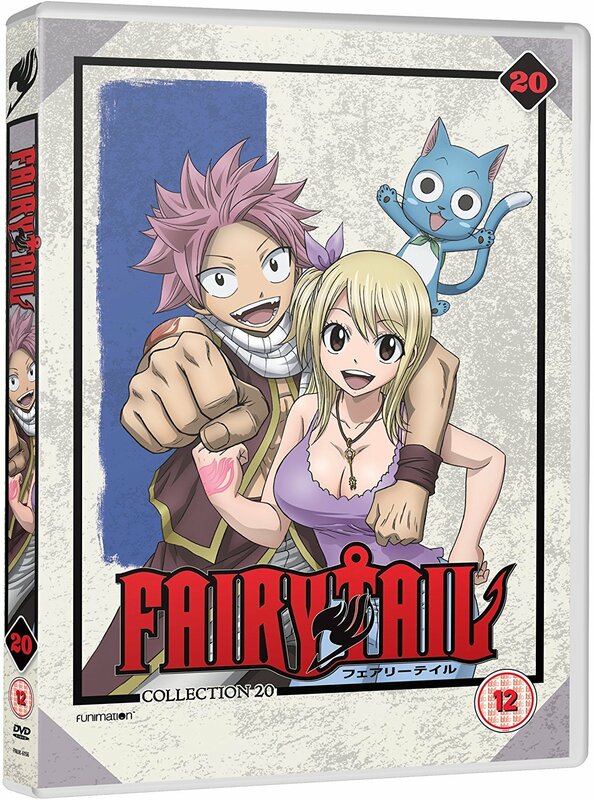 Unlike the last collection, there are plenty of extras: episode commentaries, a profile of the Fairy Tail guild, trailers, and textless opening and closing of the new songs: “Yumeiro Graffiti” by Tackey and Tsubasa, and “Never Ever” by Tokyo Girls’ Style. Out of the two, the opening is the one that sounds the best. The opening episodes of the “Tartaros Arc” are certainly shaping up into something exciting, so let’s hope it stays that way.